Let’s admit it: cutting your hair with clippers, or trimming facial hair can get pretty messy. Twice so if you have curly hair or sport a longer hairstyle. Same applies if you’re one of those lucky guys with a mighty beard! Vacuum clippers/trimmers address the issue of hair clutter piling up where you don’t need it. With them, your grooming sessions are quicker, more pleasant and a breeze, literally. However, I do encourage you to look through both our best vacuum clippers comparison tables and mini-reviews of all models in this top list. A quick comparison table to set things off! Up to 75 min. battery + Turbo. Up to 80 min. battery. Up to 1 hour battery. The undisputed king of clippers with vacuum, the Remington HC6550 excels in many areas. The first thing is the size of its vacuum compartment, considerably bigger than other models. 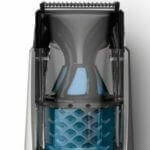 You can expect best vacuum clippers to collect as much as 90% of leftover hair – even higher if you’re a buzz cut fan. While a little bulky in its design, the HC6550 is made of tough plastic. Its black and blue body is very pleasant to the eye. Combined with the breeze of the vacuum function, it reminds me of an ocean’s beauty. The body of this Remington clippers with vacuum has a solid grip and scores high in terms of ergonomics. Vacuum feature aside, what matters is that you get precise, clean cuts. The HC6550 has titanium-coated steel blades that improve on standard steel ones. You won’t be able to use it as a balding clipper, but for anything else you’ll get neat, close cuts with zero pulling. This is one of the rare cordless vacuum clipper models out there. You can rely on the Lithium-Ion battery for up to an hour of solid cutting action. The recharge time is 4 hours, which is quite acceptable. Not only do you cut on clutter, but you can also do that wherever you wish, free of any cords. As a finishing touch, the HC6550 comes with a 18-piece set for your perfect vacuum haircut. From guards (1″ to 1/8″) to ear tapers, styling combs, barber scissors…you have everything you need here. The definite winner among the best vacuum clippers. The HKVAC2000A can be summed up as HC6550’s cheaper and less powerful version of the best vacuum clippers. While being a better budget option, this set of hair clippers with vacuum can’t be used cordless and its blades won’t cut as well. The HKVAC2000A also has a smaller vacuum compartment. That said, the suction fan’s efficiency is quite high again, similar to the more expensive Remingtom vacuum cutter model. Featuring a once again elegant hard plastic design, this groomer is more lightweight with its half-transparent body. You can choose from a black/blue or white/gray versions – both are quite stylish. While not titanium-coated, the HKVAC2000A stainless steel blades make it a great option for simple home haircuts. Short to medium hairstyles will be more than satisfied with this budget vacuum clipper. For longer hair, though, you might consider the HC6550. Even with this more affordable option, Remington provides you with an 18-piece haircut kit again. It’s actually the same set of accessories you get with the more expensive HC6550 clippers with vacuum. Take your pick from barber scissors, 1/8″ to 1″ guides, tapers and many others to shape your perfect grooming style. 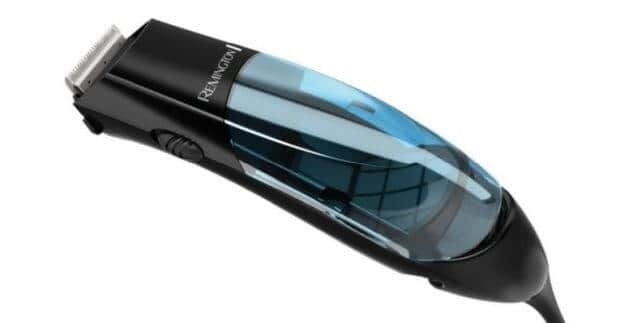 With such customization included, this is your best bet for a budget Remington vacuum haircut kit amongst our best vacuum clippers. 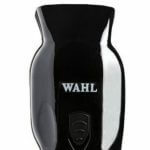 Wahl’s offer here features a slightly different take on hair clippers with vacuum. The Professional vacuum actually comes with a hose you connect with the vacuum cleaner you have around at home. Sounds strange? Maybe. Yet this is a barber grade, extremely powerful vacuum hair cutter. 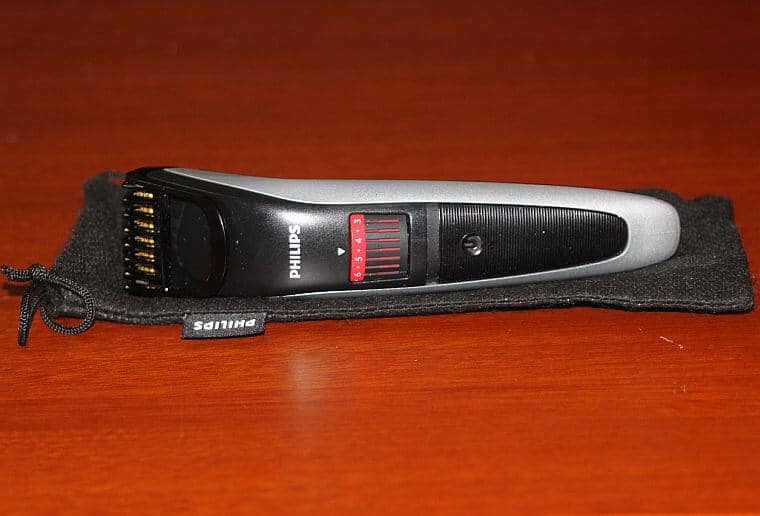 This model is somewhat based on Wahl’s Senior – a real powerhouse of a barber clipper. It features a V9000 electromagnetic motor, the brand’s most powerful one. You’ll easily get twice or thrice the power of the previous Remington models. That said, with the Wahl professional vacuum you also get a 1.3 lbs bulkier body that measures 6.5″. Significantly heavier than other groomers, it might not suit those who value more compact designs. It will, however, prove to be a great pick if you have a lengthier hairstyle, extremely thick hair or curly locks. Here’s the thing, though: Wahl’s system here might feel a bit unintuitive. The hose connecting to your vacuum cleaner might feel flimsy and require a more effort than other vacuum hair cutters. You are also limited to a corded-use only here. If you’re looking for power and barber grade action in the best vacuum beard trimmers and clippers, though, this is your best option. A must have if you feel smaller vacuum compartments won’t catch the locks you’re about to chop. If you’re only looking for a vacuum hair trimmer, you have it easier. Grooming your beard, mustache, sideburns or any other smaller areas won’t clog compartments as easy. In addition, the trimmer market is very competitive. 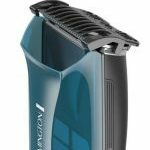 There’s quite a few best vacuum beard trimmers that provide outstanding results on affordable prices. As we’ve said numerous times before…gentlemen with bushier beards, remember! The secret to a nice beard is not only the trimmer; it’s taking care of it with some conditioner like beard oil. If you’re looking for a professional vacuum beard trimmer, it doesn’t get any better than the QT4070/41. Sure, it’s more expensive than the other two models I’ll introduce to you. However, you receive a full suite of features for truly deluxe grooming sessions. Let’s start with the important part: the trimmer lengths. 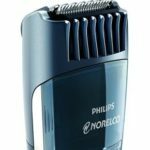 This Norelco beard trimmer with vacuum comes with 18 settings, starting from 1/32″ (1mm) to 23/32″ (18mm.) It’s perfect for anything from 5 o’clock shadows to more substantial beards, all along with mustache or sideburn grooming. The Norelco vacuum trimmer features two combs: your basic stubble comb and a more sophisticated “contour following” comb. The latter follows the curves of your face for neater trims that save time and are way more efficient. QT4070/41 also has self-sharpening steel blades that will last you a long time without the need to oil them. Here’s one of the best things about this luxury model that makes it to our list of the best vacuum clippers: not only is it cordless, but it also has two operation modes. The Turbo power boost button will net you more professional trims and will increase the fan speed of the vacuum function. If you have thicker facial hair this is a godsend that will simply make your grooming sessions way quicker and pleasant. The Lithium-ion battery will run for a spectacular 75 minutes and will charge in only one hour. Note that if you use the Turbo function you’ll get up to 50 minutes of cordless vacuum trimming. A display will both indicate the battery life remaining and your picked trimmer length. Where the model falls short is the door holding the beard trims: it feels flimsy and not that well constructed. You should be careful when opening/closing it. The flexible trimmer combs also need attention – be careful not to push on them while shaving. Otherwise you’ll get a closer trim than the one you’ve set. These design issues put aside, the QT4070/41 is the most luxurious way to grab the best vacuum clippers for your grooming needs. Another Norelco contestant, the 7200 series hair trimmer with vacuum is a great balance between affordable prices and optimal performance amongst the best vacuum clippers. Its body is a bit lighter than the QT4070/41 – 0.9 lbs compared to the latter’s 1 lbs. The model also features a very elegant chrome finish I like a lot. One of the most important things I want to point out here is the 7200’s blades. They are the best option if you have sensitive skin. Self-sharpening for easy maintenance, they are way more gentle than other vacuum beard trimmer models. I especially like the precision trimmer feature as it allows for cleaner edge work and finer details. Overall, this Norelco vacuum beard trimmer is exceptional at shaping goatees, sideburns and 5 o’clocks. Outlining a spectacular mustache is also quite an easy job. The vacuum function is supplemented by the washable heads of the Norelco 7200. You also get up to 80 minutes of Lithium-ion battery on one hour of charging, slightly more than the QT4070/41. An orange indicator will let you know when the battery’s running low. That said, this Norelco vacuum trimmer doesn’t have a Turbo mode. In addition, it might feel a bit clumsier to empty the trimmings with this model. You have to remove the comb, remove the cutting head and then sweep the collected hair out. Once again the plastic guards also leave some things to be desired. 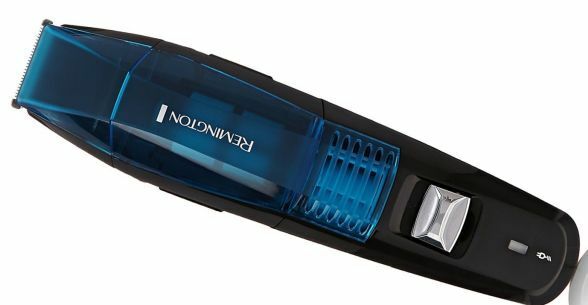 All said and done, however, the Norelco 7200 beard trimmer with vacuum is the best meeting point of a good price and versatile, quality operation. Perfect for general uses with a slight professional twist to them, and that’s why it’s on our list of best vacuum clippers. 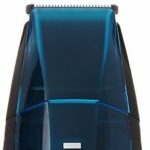 Considerably cheaper than its Norelco counterparts, the VPG6530 still offers you great grooming options. While bulkier than the previous models with its 1.2 lbs, it comes with Remington’s trademark innovative ideas. The VPG6530 beard trimmer with vacuum is actually a 4-in-1 grooming tool. You can use it as a beard trimmer, nose and ear hair trimmer, a foil shaver, or a detailer trimmer. Quite the suite of uses considering its humble pricing point. In terms of lengths, the adjustable settings go from 2mm to 16mm here. You also get 4 clip on combs at 1.5mm, 3mm, 6mm and 9mm to supplement the built-in trimmer lengths. Not as customizable as the Norelco offers, yet plenty of sizes for you to pick from. 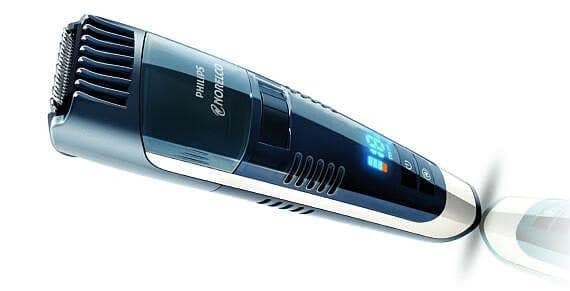 Once again, you have a cordless beard trimmer with vacuum function. The VPG6530 doesn’t reach the Norelco’s long charges, but you’ll still get up to an hour of wireless trimming action. It shouldn’t be a problem even if you want to perform more detailed work on your facial hair. 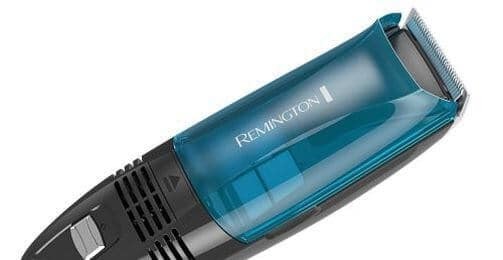 To some extent, the Remington vacuum trimmer is a bit easier to clean, which is why it makes it to our list of the best vacuum beard trimmers. The detachable hair chamber goes off with just a click, unlike the more complicated Norelco 7200 series one. That said, this model does get noisier than some other best vacuum clippers. Once again you’ll encounter the infamous plastic guard problem, unfortunately. 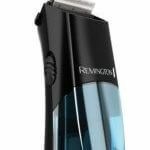 The guide attachments are the Remington groomer’s weak spot, as they feel flimsy. They don’t suit the otherwise pretty great performance considering the VPG6530’s price. Some shortcomings aside, this is without a doubt your cheapest ticket to a quality vacuum trimming experience. Considering this model’s customization, you can really perform a lot of tasks…without spending too much cash to do so.